Today's Tuesday Tip addresses a critical question that renters all over Boston are asking themselves: "Should I buy now, or wait until next year?" 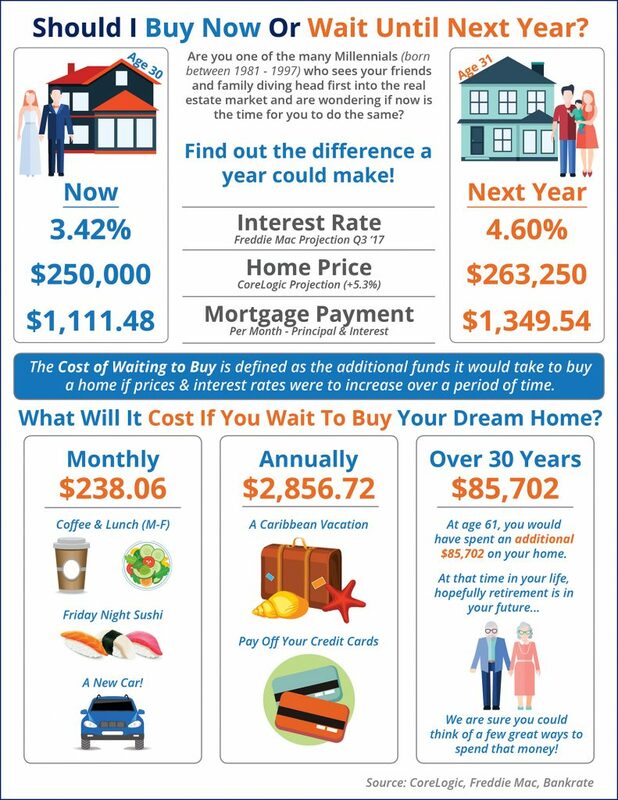 Our friends at Mortgage Network put together the following infographic to break down the financial impact that the "cost of waiting" will have on buyers over the next year if rates and home prices continue to rise as expected. If you're thinking of buying a home but don't know how much you can comfortably afford or what's available in your price range, reach out to one of our experts for a chat. They specialize in finding buyers homes that work well with both their lifestyle and their bank account.